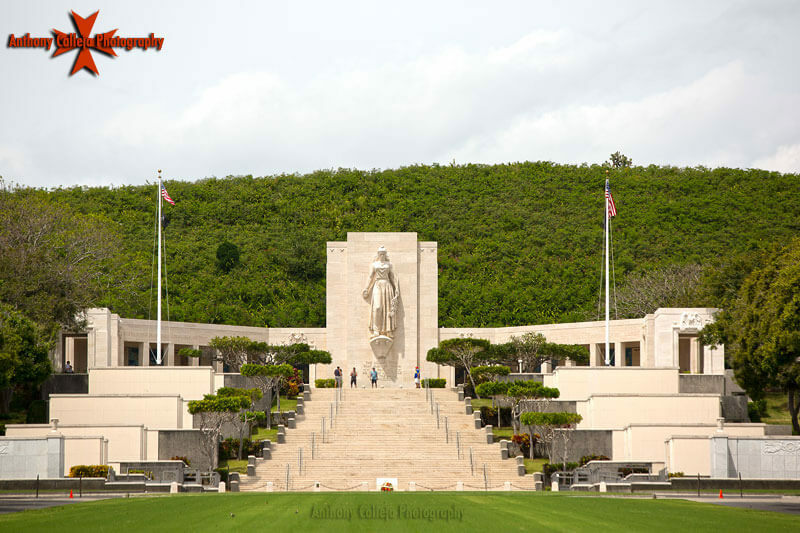 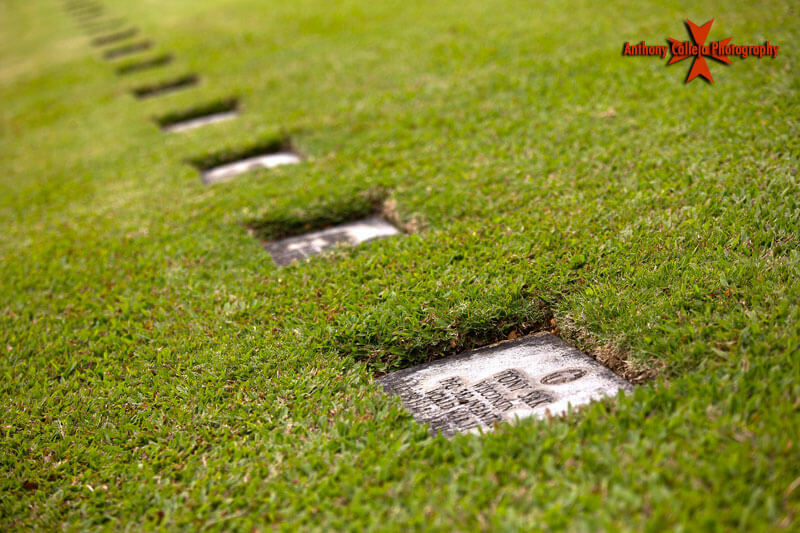 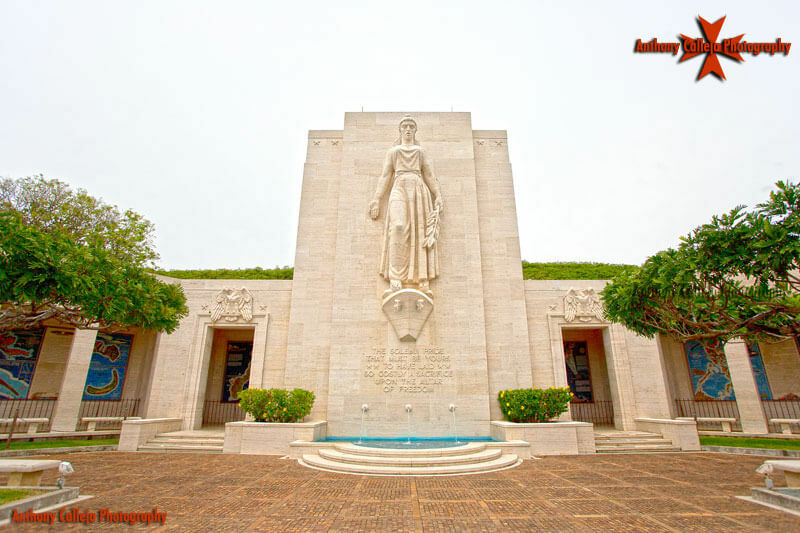 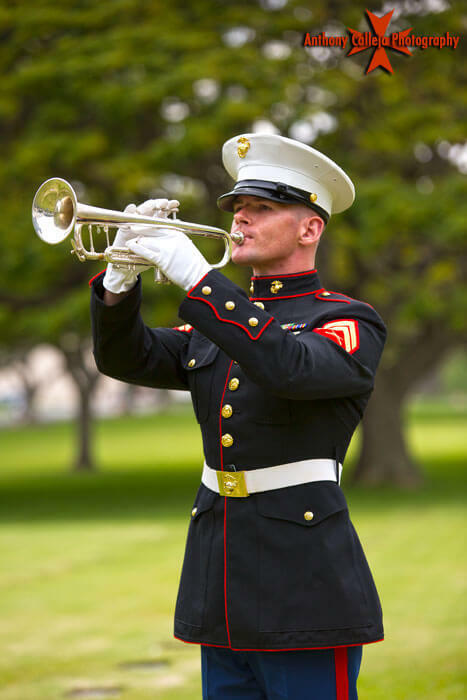 National Memorial Cemetery of the Pacific, Punchbowl is one of the nation's prominent national cemeteries with more than 49,000 internments, including more than 13,000 soldiers & sailors who died during World War II. 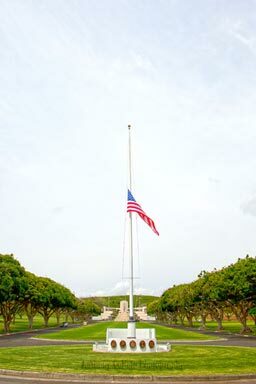 Over five million visitors come to pay their respects here. 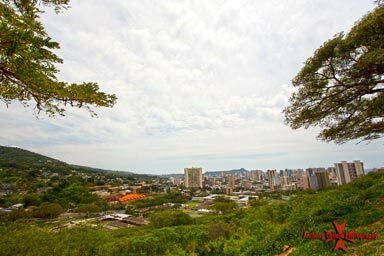 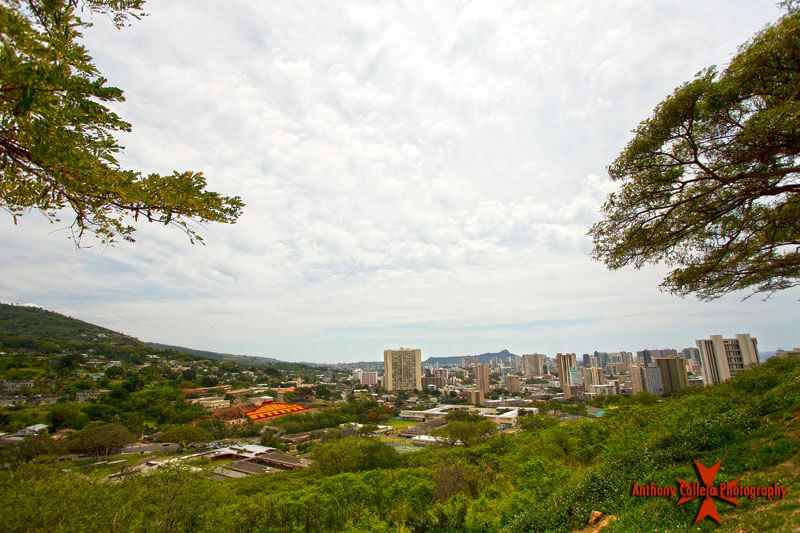 The memorial lookouts also offer panoramic views of Honolulu. At the top of the staircase in the Court of Honor is a statue of Lady Columbia, also known as Lady Liberty, or Justice. 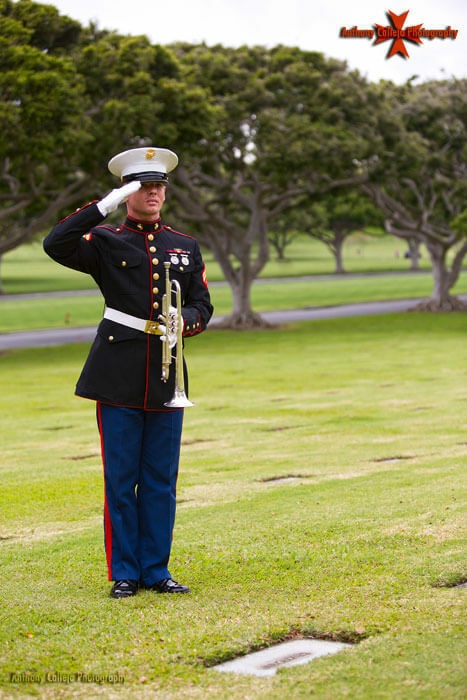 Here she is reported to represent all grieving mothers. She stands on the bow of a ship holding a laurel branch. 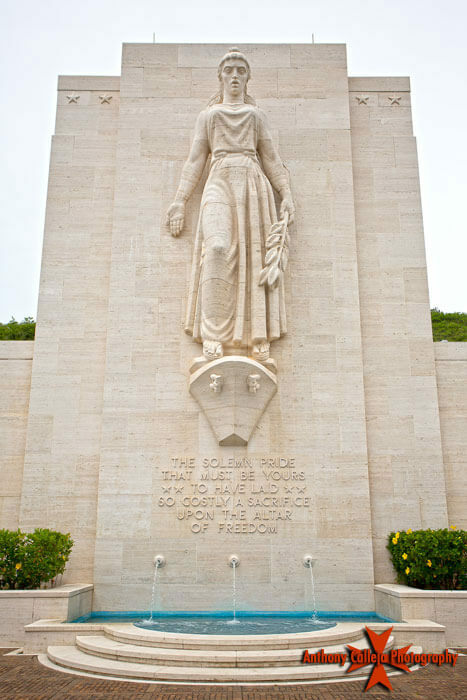 The inscription below the statue, taken from Abraham Lincoln's letter to Mrs. Bixby, reads: "THE SOLEMN PRIDE THAT MUST BE YOURS TO HAVE LAID SO COSTLY A SACRIFICE UPON THE ALTAR OF FREEDOM " The statue is featured in the opening sequence of the both the 1970s television series Hawaii Five-O and its 2010 remake. The latter series has also filmed at the cemetery several times—the father of lead character, Steve McGarrett, is supposed to be buried near the statue. 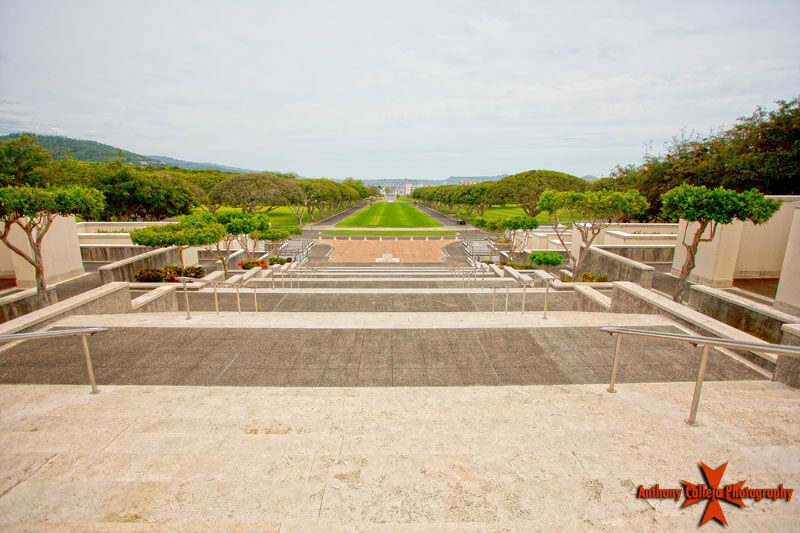 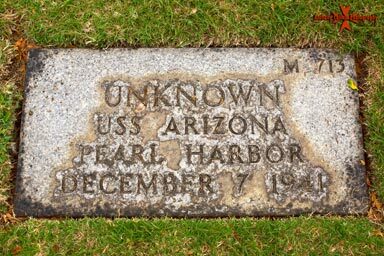 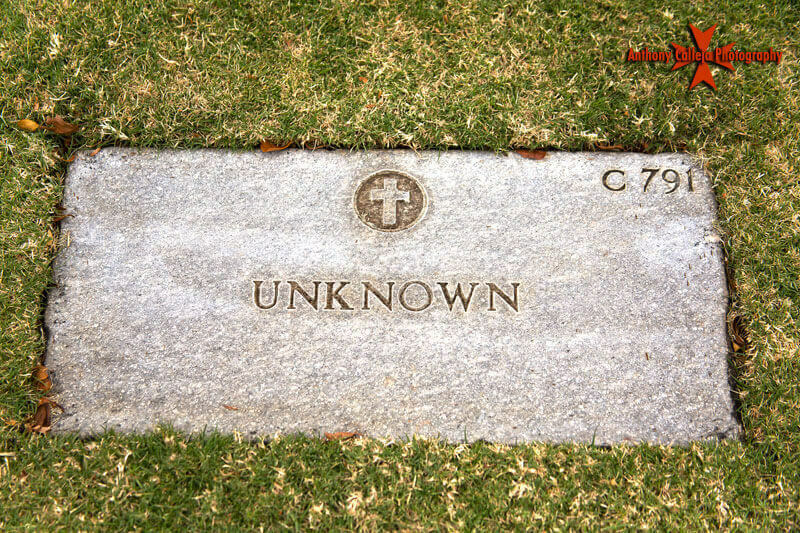 - National Memorial Cemetery of the Pacific Punchbowl. The National Memorial Cemetery of the Pacific occupies much of Punchbowl Crater. 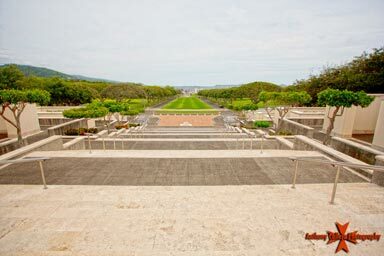 View from the top of the steps at National Memorial Cemetery of the Pacific Punchbowl.